Leaving the comfort of your home to hit the road also means leaving your home WiFi network behind. But never fear, there are plenty of places to find free WiFi along your route. 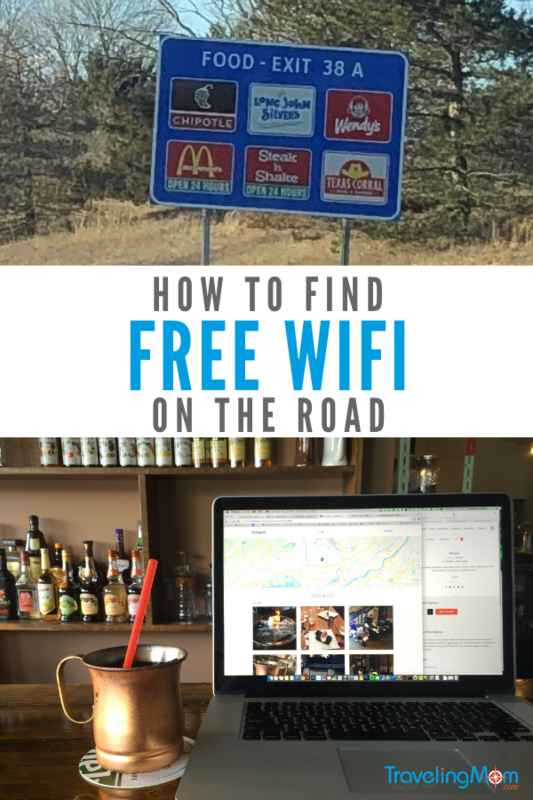 This list of popular spots that offer internet access will keep you connected on the road. Love them or hate them, electronic devices are an integral part of our world now. There are two ways to connect your phone, tablet or laptop to the internet. Many devices are able to connect via a cellular connection. But data plans can be pricey and often restrict the amount of data you’re allowed per billing cycle. Direct internet connections via ethernet cable aren’t always possible when you’re on the go or away from home. 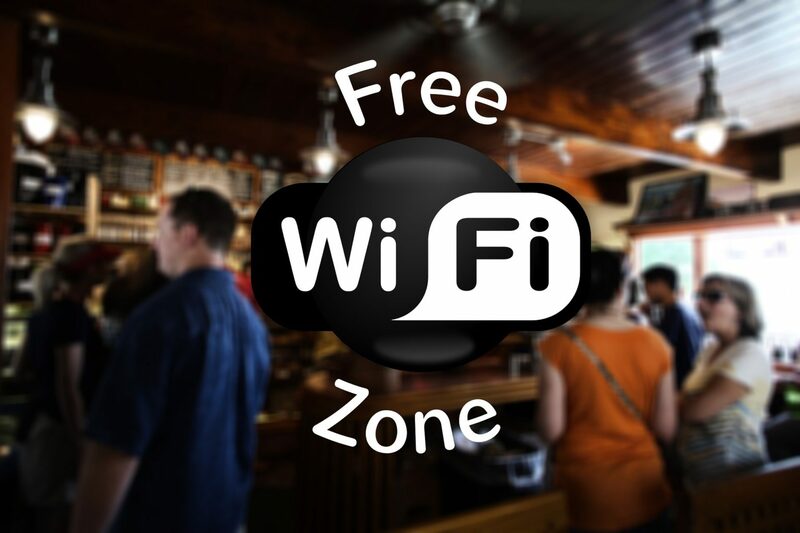 Luckily, many business now offer free wireless access via WiFi to their customers. It’s easier than ever to find a wireless connection along your way. Please note that public wireless internet connections can often be unreliable and download speeds vary. Most will require you to accept their terms and conditions before allowing you to connect. Some locations may require you to provide your email address as well. Please note that not every company listed here may offer WiFi in all locations. Also, this is not an exhaustive list, but is meant to provide a good general selection of options. TravelingMom Tip: WiFi connections don’t stop with walls. Just need a quick moment to send an email? Or don’t want to disturb the sleeping baby to head inside? Most WiFi access is available in the parking lot of your favorite restaurant or coffee shop. Just pull in and connect without even leaving your vehicle! 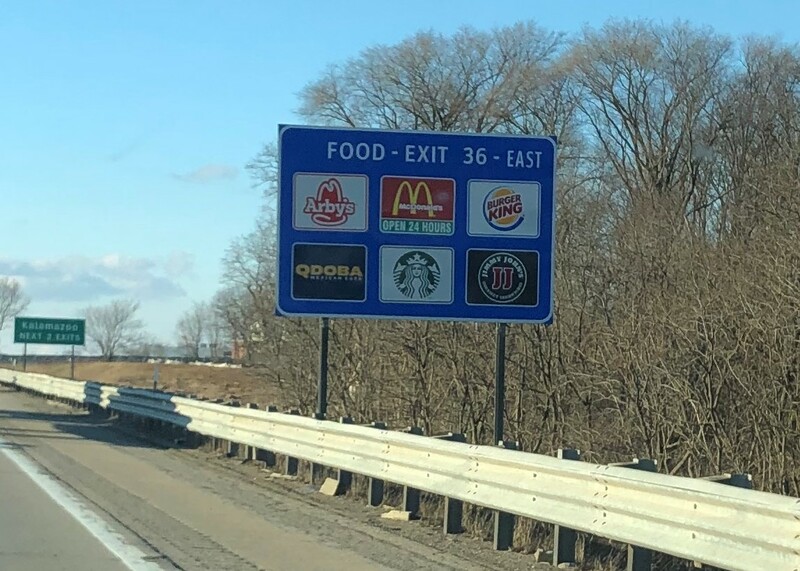 Not only is fast food fast, but it’s just about everywhere. Pick a freeway exit, and you’ll likely find a burger, sandwich or taco joint. 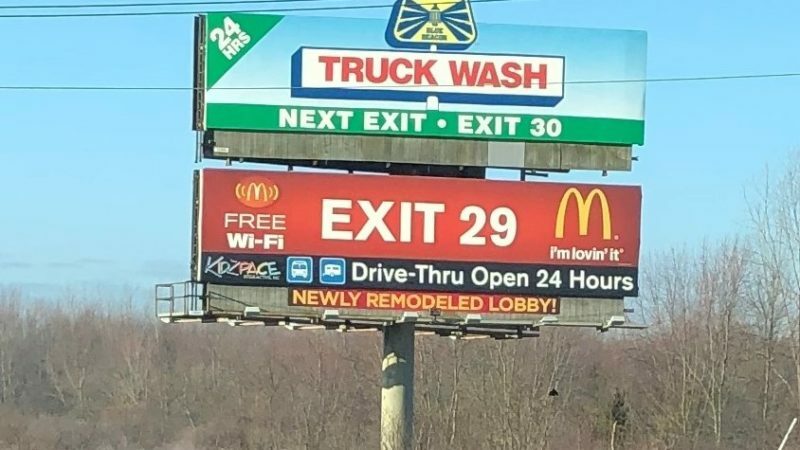 Whether or not you enjoy their food, the free WiFi they offer is usually only an exit ramp away. 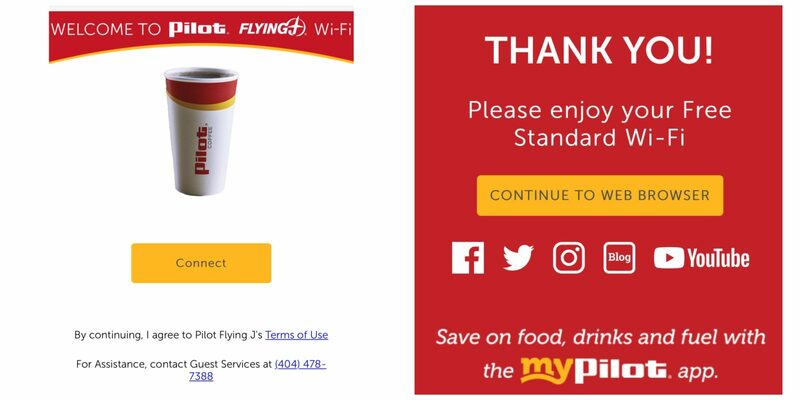 Here is a list (as of April 2019) of popular fast food chains that offer WiFi connections. McDonalds offer free WiFi at over 11,500 locations. Whether you grab a burger or just enjoy a latte, there’s sure to be one nearby. Where there’s a Mickey D’s, there usually a Burger King. So if you’re not a fan of the Big Mac, head over to Whopper WiFi to connect. Arby’s provides not only the meat, but also free public WiFi. Stop at Subway for a sandwich or just to connect. Looking for a taco fix? Try free WiFi access at Taco Bell. Connect to open WiFi at Wendy’s. Check out Chick-Fil-A for free internet access. Jimmy John’s is freaky fast for delivery and free WiFi. Need a quick caffeine fix? Check out any of these options for free WiFi services along with your latte, cappuccino or plain ole cup of joe. Stop by any Starbucks for a hot (or cold) beverage of choice and wireless connection. America runs on coffee giant Dunkin’ Donuts, which means that there’s sure to be one nearby with public WiFi. Tim Horton’s has many locations throughout Canada and the US. Check them out for coffee, pastries and internet access. Einstein Bros. offers coffee and bagels plus free internet. Try a fresh pastry along with your internet service at Panera Bread. Note that connection times may be limited during rush hours. Sometimes you might be looking for a place to set up shop for a longer while and get work done. Or catch up on those many emails that came in while you were on the road. No worries! Many sit-down style restaurants also offer free WiFi connections. No matter the time of day or night, Denny’s is open 24/7 to provide nourishment – and free internet. If you’re looking for casual dining, Applebee’s provides internet access while you’re Eatin’ Good in the Neighborhood. One word – pancakes. Oh yes, and free WiFi too, at IHOP. Not hungry, but need to stock up on the necessities? Many retailers have WiFi networks that are free to use while you’re shopping. Or just wandering through the store. Some of these may be more difficult to find along the highway, but most cities or towns will have at least one or more of the below. Gotta make a Target run? Yes, you can connect online for free while you’re shopping. If you’re looking to relax with a good book while downloading your newest Netflix binge, Barnes & Noble might be your top choice. The Apple Store. Enough said. Meijer provides 24/7 shopping convenience along with store WiFi. Need office supplies? Both Staples and Office Depot/Office Max offer public internet connections. 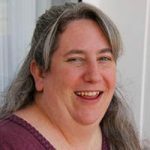 If you’re away from home and looking for a place to connect, check out the local library. You’re likely to find a cushy spot to relax along with internet access. And if your device is out of juice, most libraries have computer stations for public use as well. Not to mention helpful, friendly staff who can probably answer just about any question you might have. Some hotels provide public WiFi in public spaces, such as lobbies. If you’re needing to connect, look for a hotel or motel nearby. And when booking your stay, make sure you check to see if free WiFi is included. Many hotels do charge for internet access, which can add up quickly for a multiple-day stay. Any public internet connection is inherently risky. An open connection means that anyone at all can join, including those with nefarious intentions. But, that doesn’t mean that you should avoid public WiFi at all costs. Just be careful. Avoid logging in to your bank website or other sites that store your personal information. Don’t stay online for any longer than necessary. Do not give out any private personal information over a public connection. And avoid sites that aren’t secure – check that the site URL begins with ‘https’ instead of just ‘http’. Even with all of the options mentioned above, there may be times where you’re not able to find a reliable wireless connection. Here are some other options to connect online, depending on your situation. Purchase a mobile hotspot to carry with you. This does require a monthly payment plan, but allows you to connect from anywhere and is much more secure than using an open, public connection. Use your phone as a free WiFi hotspot. If you have an unlimited data plan this may be a good option. Otherwise you may end up paying extra in overage fees if you use too much data. 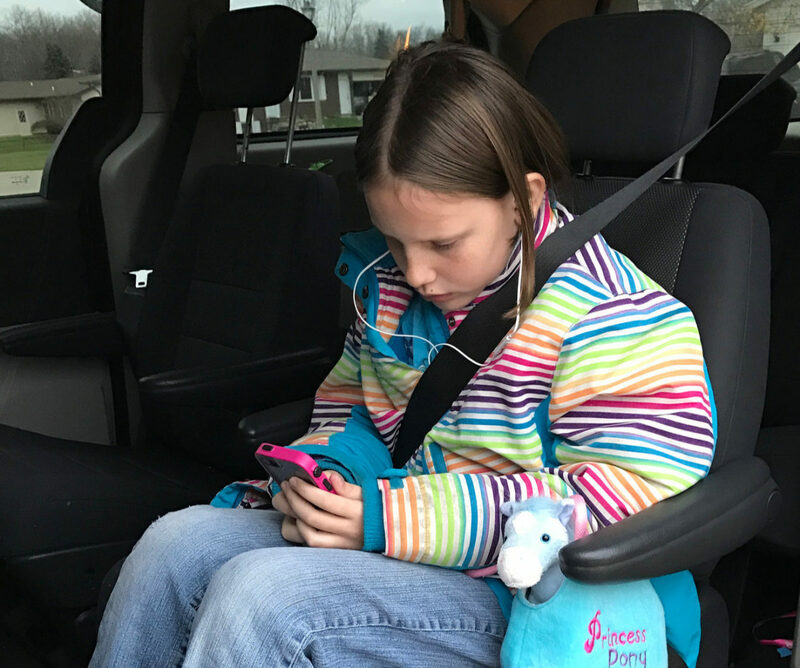 If you’re on the road a lot and in the market for a new vehicle, consider purchasing one with a built-in WiFi connection. Do you have cable internet? Check with your service provider. Many companies, such as AT&T or Comcast provide free access to their wireless hotspots for customers.